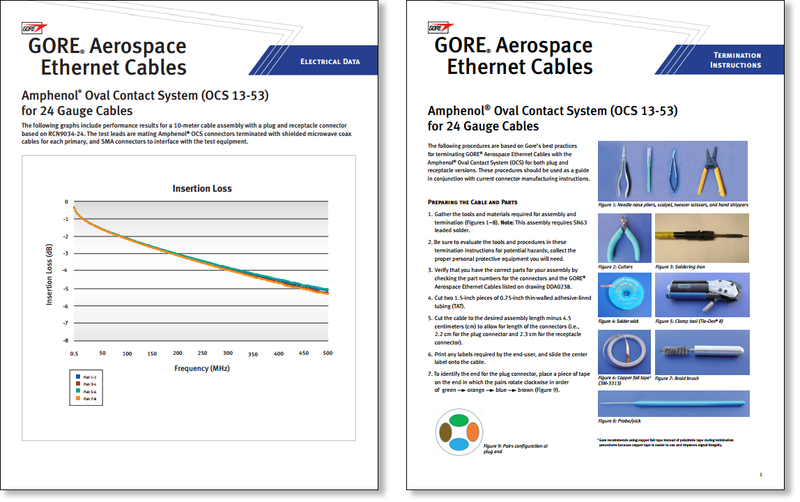 Download Gore’s best practices for terminating GORE Aerospace Ethernet Cables with leading high-speed aerospace connectors and related electrical data for cable-connector compatibility. Note: Drawing is for reference only to provide customers with relevant information related to connector options included in Gore’s best practices for terminating cable assemblies. Gore does not build assemblies specified in the drawing.